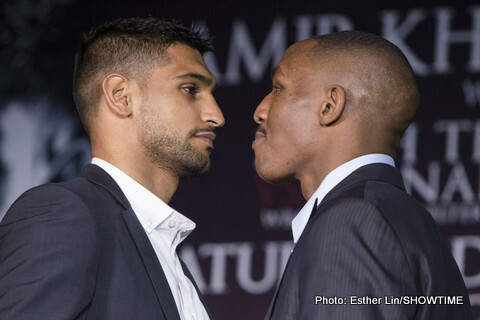 This coming weekend sees our last pugilistic engagement of the year, Amir Khan (29-3) takes on perennial welterweight contender Devon Alexander (26-2) in what is a crucial showdown for the Bolton England native. For the last few years Amir Khan has been telling anyone who will listen he is the man to defeat the pound for pound king Floyd Mayweather (47-0). The much talked about (by Khan anyway…) showdown has been on the verge of being signed on a few occasions now only to be derailed by none other than Khan himself. Amir Khan has been guilty of committing boxing’s biggest sin a few times now, overlooking his next opponent only to be upset. It seems the fixation with a potential Floyd Mayweather fight has been more of a hinderance to Khan than a motivator. I can remember back to the press conference for his contest against Lamont Peterson where Khan engaged in more rhetoric about his ability to beat Mayweather than the actual fight at hand. He went on to lose a decision and his world titles to the hungry Peterson (albeit controversially). Fast forward to Khans next big showdown, a unification bout with the undefeated power punching “Phillyrican” Danny Garcia. Once again Khan spent the majority of the build up discussing how his talents matched up favourably against Money May….He went on to be brutally stopped by Garcia after sustaining some huge shots. Since then Khan has been on the comeback trail, switching trainers from Freddie Roach to Virgil Hunter. He is attempting to curb his desire to brawl and instill a bit more defensive savvy to his arsenal. Despite some underwhelming performances since linking up with Hunter he has definitely shown a more mature look inside the ring. He seems to be focused on the task at hand and is preparing to deal with an Alexander who despite being a very slick/skillful operator doesn’t possess the Khan kryptonite…Power!! On paper this looks like a very even match up. In reality, Khan has never really shown a vulnerability to any boxer that attempted to box with him. The guys Khan has trouble with are guys who openly concede he is the quicker/sharper man and look to time him then ultimately bang him out. My prediction…Khan by UD in a fight that doesn’t look all that different to his last outing against Collazo. The question is, does Khan have his eye on the ball? has he finally learnt from past mistakes? Will he get past Devon and get the Mayweather fight he desperately craves?